THANK YOU, STEPHI, FOR ALLOWING CRITICAL BEAUTY TO INTERVIEW YOU! 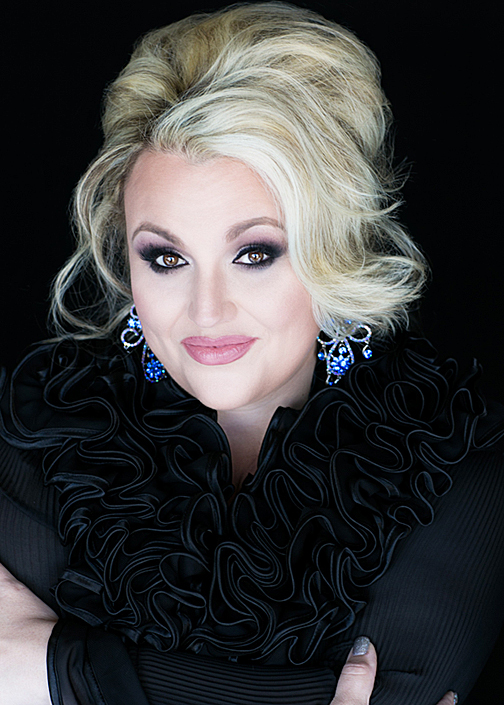 YOU ARE THE NEW NATIONAL DIRECTOR OF UNITED STATES NATIONAL PAGEANTS (UNSP) SYSTEM WITH SEVEN DIVISIONS STARTING AT THE AGE OF 8. PLEASE TELL US BRIEFLY HOW YOU ACQUIRED THE SYSTEM. Thanks so much for the opportunity. Yes, I am the new national director of all 7 divisions beginning with Little Miss at the age of 8 years old. I acquired the directorship of Miss United States and the entire seven divisions of the United States National Pageants formerly known as MUSO by many when the position came available and a much needed re-branding effort began. If I had to put it in simplified terms, I would say we gave it a face lift and leave it at that because the rest is actually better saved for a novel or a made for TV movie that is almost too shocking for prime time. But my state directors know what I am talking about and they would all agree that it was time for a "regime" change and an overhaul, so voilà! Then there was me and my team! We have hit the ground running, set some amazing records and we are off to an amazing start and looking forward to a bright future! WHAT PROMPTED YOU TO BE INTERESTED IN PAGEANTS? AND HOW HAS YOUR INVOLVEMENT IN PAGEANT AFFECTED YOU PERSONALLY? I became interested in pageants for so many reasons at a very young age. I love anything glamorous and beautiful. Even as a young child I would associate a pageant with pretty much everything. My grandmother, Peggy Barton has this huge walk-in closet and she loved silk gowns and long robes with matching house shoes with little kitten heels. She had them in every color you could imagine. When I was a little girl, I would go in that closet and play pageant for hours dressing up in one robe after another, with heels to match pretending to be contestant after contestant, changing my hair from and updo to, leaving it down to a ponytail. LOL. It was loads of fun. I was an only child until my parents decided to give me a baby sister when I was nearly 12, so I had to be creative. I also had an older cousin who was a local pageant queen and she would dress me in her gowns and fix my hair and that was it. I was hooked. My mom and I watched every pageant that aired on TV and we couldn’t wait for the next pageant to come on or the next local pageant to come up. I have always been a competitive person by nature as well. To answer the second part of this question, pageants affect me personally in everything I do. I have a passion for them in general. I truly have a love for them all. I am a pageant junkie. Over the years I have watched and studied tons of systems and enjoyed all of them. In 2014 Miss United States was offered to compete at Miss World as the representative for the United States. I recall being the only state director on our entire roster including our national director at the time that had ever even watched a Miss World pageant before. In fact, no one even knew what Miss World was but I had been watching it for years on the E! channel because that is what I do. When there is a pageant on, I watch. Of course, my favorite system are systems like Miss United States which gives back to the community. I feel that pageants are a blessing and if used in positive and honest context they can be a blessing in the lives of everyone who chooses to take part in them. WHAT IS YOUR STRATEGY IN RECRUITING POTENTIAL CONTESTANTS FOR YOUR PAGEANTS? IN OTHER WORDS, WHERE DO YOU FIND LIKELY CANDIDATES AND WHAT DO YOU DO TO CONVINCE THEM TO SIGN UP FOR THE CONTESTS? The strategy in recruiting potential contestants for our system has drastically changed over the last year. Previously our system was viewed as a stepping stone to get to pageants such as Miss America or Miss USA. This is not the case any longer. We are finding that the re-branding efforts were successful and ladies are seeking out avenues to compete at Miss United States. In years past the Miss United States Pageant never had all of the states filled. I am so proud to say that we added the Northern Mariana Islands to our list of territories in 2016 and we were able to fill all 50 States, the District of Columbia and all 5 of our U.S. owned territories for 56 total Miss Delegates! It was incredible and it had never been done before. It wasn’t even hard. We have quite a few states without state directors still and myself along with other recruiters worked pretty hard to answer inquiries and host interviews in some cases to select delegates to fill the spots, but towards the end I could have used about 10 more titles because we had so many begging for spots we had to turn away because we didn’t have titles available. It was an amazing feeling to see a system that could fill all the contiguous states in just one year. I am proud and humbled! The United States National Pageants crowns seven winners each representing a particular division. The 2016 titleholders were crowned in Las Vegas last August 4th. From left to right: Little Miss United States 2016 Angel Guerrero, Miss Jr. Teen United States 2016 Britney Barnhart, Ms. United States 2016 Mee-Ladie Delgado, Miss United States 2016 Alayah Benavidez, Ms. Woman United States 2016 Katie Hill, Miss Teen United States 2016 Mary McGeorge, and Miss Pre-Teen United States 2016 Kendall Bear. WHAT DO YOU TELL PEOPLE WHO CAN'T TELL THE DIFFERENCE BETWEEN VARIOUS PAGEANT SYSTEMS? CONVINCE THEM THAT MISS UNITED STATES IS NOT THE SAME AS MISS USA OR MISS AMERICA. I encourage people to do their research. Each system has a very specific meaning and purpose and depending on the reason the person is interested in the pageant to begin with will determine which system is right for them. Miss United States is defiantly not the same as either Miss USA or Miss America. First, Miss United States has a scoring system that is unlike USA or America, with all four phases of the competition counting equally at 25% each. Our contestants compete in interview, swimsuit, evening gown and onstage question. Using this scoring system the fair and honest way ensures that you will get the total package. It is a fool-proof scoring system to ensure our national queens are beautiful,healthy, intelligent and ready to speak to the public at any time needed and this is so very important. It will be easy to distinguish Miss United States from Miss USA and Miss America because of our age division longevity. Even though Miss USA has now extended their age limit to 28, Miss United States still offers the best age range of 20-29 giving all of those competitors that have aged out of Miss USA and Miss America the opportunity to continue their careers at Miss United States! Other notables are that our Teen division will still compete in the swimsuit competition unlike Miss Teen USA which recently traded their bikinis in for fitness wear. And we don’t have a required talent competition like Miss America. To convince further, we are a system for real ladies who are genuine. Our ladies are beauty queens no doubt but they want to center themselves on philanthropy as well. They want to help their communities and make the world a better place. In this case “World Peace” truly fits! SINCE TAKING OVER UNSP, WHAT CHANGES HAVE YOU MADE TO MAKE THE SYSTEM BIGGER AND BETTER? ARE YOU DOING ANYTHING DIFFERENTLY THIS YEAR IN TERMS OF PRODUCTION AND ADMISSIONS? There was quite a bit that had to be done. First and foremost I had to hire staff. The national office had been devised of basically a group ofstate directors in the past that had worked for reduced fees as a barter, so to speak, for my predecessor, but that in itself is not a relatively smart way to run a business. There are a whole lot of reasons ethically and financially why that is not good for a brand. It also isn’t good for the state director because it takes away from their time in making their state business successful as well so I had to take corrective measures there. I then worked with an awesome team of graphic designers to create an amazing new brand logo that is softer and more feminine. It is much more appealing to women and little girls than the logos we had previously. The crowns were beautiful but they were uncomfortable and the design had to be tweaked a bit as well. Then came the sashes. They really needed help badly. We worked with our vendor and created a rich, elegant, top quality sash that is truly breathtaking. I then began taking this system back to the original vision and values that it was founded on! It had to be restored and it had to undergo a major face lift. Over the last four years the community service aspect from the national office had been completely lost. The national queens still had involvement in their own capacity but there was no participation from the national administration. I began working tirelessly to reinforce in the brand standards that this would not be the case in the future and that going forward we would go back to that because the ladies who participate with us truly want this. They want to give back and we have such a wide range of age divisions within our brand; we have the ability to offer so much good in our communities. This alone sparks the interest of so many who want to be part of something that is whole and something that is very good. We also added a prize package that was nearly quadruple the size that it had been in previous years, with tons of new sponsors added and some amazing opportunities to go along with them. The opening number wardrobe was upgraded majorly by all top quality designers now instead of cheap items that were bought in bulk from wholesale bulk merchandisers for a couple of dollars. All of our national awards are lead crystal, not acrylic and defiantly not a Dollar Tree photo frame with an off-center printed insert on regular computer paper like in previous years. In addition, previously the red, white and blue Runway competition was held annually and the winner was announced at the final competition. It always made me so sad especially in the Little Miss and Pre-Teen Division when the winner stepped forward but there was never an award for them. This year we have partnered with Supermodels Unlimited Magazine for the Runway competition and the winner of each division will win a full page in the Rising Star issue of the magazine as well as a lead crystal award on finals day. I also feel that that directors work so hard and need to be appreciated so we began awarding a Director of the Year Award. There are certain criteria that you have to meet and there is a scoring system for the award but the state directors are actually competing for an amazing award and a handsome cash bonus as well. In terms of production and admissions a whole lot changed. For one thing we actually had a “real” production! I have one of the best producers in the country! Award-winning producer Brittney Eskew was on board for an amazing production in every division. PageantLIVE was there interviewing the ladies in the tunnel coming offstage and one of the best feelings I have had is hearing them say that they couldn’t wait to be back on the stage because they had NEVER been in a better pageant. Admissions changed as well. We brand ourselves as a “family” but in years past the ladies were charged a fee if they wanted to come watch their sister queens compete. We do not charge them! We allow them to come in free of charge to watch their sisters compete. If they have their sash on they have a full all access pass to watch any competition. We love to see the older and younger sisters coming in to support one another. This is how it should be and they should not be charged to watch them. Those who competed in 2015 can also verify that it was mandatory for them to pay an admission fee and attend the Miss World America competition, NEVER AGAIN will the delegates of Miss United States be made to pay an admission fee to attend a competition as an attempt to fill an audience. WHAT DO YOU LIKE BEST ABOUT BEING A PAGEANT DIRECTOR? WHAT DO YOU LIKE LEAST? I love meeting all the ladies and their families. I love hearing how much they have loved serving their states and their communities and what they have achieved. I also love hearing what they have accomplished after their reign has ended and I love, love, love it when they age up to the next division when they come back again! The thing I like the least is when I have to see a delegate leave the national pageant upset or being hard on themselves. It really hurts me because there are no losers at any level in our system. We see ladies serving their titles from a local, state and national level so there are no losers in any capacity. These are service positions anyway. As long as you are being of service you have won already! WHAT DO YOU SAY TO CRITICS WHO ARGUE THAT PAGEANTS ARE SUPERFICIAL AND EXPLOITATIVE OF WOMEN? I think it certainly depends on the brand. I won’t be one that jumps the gun to say “NO” this is crazy, because some pageants are superficial and some are exploitative of women. I can only speak to my brand as of 2016 and beyond as long as it is within my control and the way that I can answer is that in absolutely no way what so ver is Miss United States superficial. I also think that our scoring system is one of the best in the business to help ensure that we do not get state and national queens that are superficial as well. Although we chose not to follow the domino effect in discarding our swimsuit competition like most brands, we certainly are not exploitative of women either. The total body image and fitness of our delegates make up ¼ of her score. We choose to view her overall body image in a swimsuit to score this. We work with the swimsuit designer to ensure that it is very tasteful. I am not a politically correct person so I don’t follow suit with the political correctness of what people say we should consider exploiting women. I am being real and honest here. I find it very amusing with some of the topics people will create to get attention and this entire swimsuit and exploiting women thing is just one of them. For the record, we will not be giving up our swimsuit competition. These women work extremely hard for their bodies and it is time to show off that work. Unless we plan to see everyone showing up at the beach or the pool in fitness wear, I think it is perfectly acceptable to wear a swimsuit in competition. DO YOU WORRY THAT THE WINNER WHO IS CHOSEN WON'T BE AS GOOD OR BETTER THAN HER PREDECESSOR? I never worry about this because I know that no matter who I get they will always have different personalities. I learned this years ago from being a state director. No two titleholders are the same and it makes no difference to me who I end up with. I figure that the judges have been made aware of what it takes to be a titleholder and it is in their hands to really hone in on the requirements and find the girl who has exactly what it takes to handle the job. It is actually a job! WHAT ROLE DOES INVOLVEMENT IN CHARITABLE CAUSES HAVE ON THE PARTICIPANTS OF UNSP? Our participants take on the role of ambassador to many philanthropic charities all over the country. Most recently the most tragic and amazing thing happened at the same time. Shortly after the national pageant our country was faced with the largest national disaster since Hurricane Katrina with the recent flooding in the state of Louisiana. I was devastated, heartbroken and scared all at the same time. After I had heard from all of my Louisiana folks, and they were accounted for, my national queens wanted to jump in to help immediately. I had our marketing director to reach out to one of our known Louisiana assistants to see if our help was needed and we were brought in on a project to help collect school supplies that were needed desperately as the children go back to school. So we began. We were doing such an amazing job on the national level we gained attention from some huge corporations and NFL punter Thomas Morstead of the New Orleans Saints. It was within days it was decided that Miss United States would join Southwest Airlines and Thomas Morstead’s foundation “What You Give Will Grow” on a new campaign that he was starting called “Team Come Back Kids” to supply kids affected from flooding with the school supplies needed to go back to school so that their parents have one less thing to worry about at this time. For the most part these families don’t even have a roof over their heads, they shouldn’t have to worry about school supplies! Our queens are gathering supplies all over the Country until September 30, 2016 and Southwest Airline will fly them to Louisiana or us free of charge! We are an amazing team! Anyone wishing to donate to our cause should write to us at marketing@unitedstatesnationalpageants.com or send us an inbox message on Facebook at United States National Pageants, Inc. Although, our national and state queens are busy with this project, they still find time to support another one of our chosen national charities like No Kid Hungry, which strives to put an end to childhood hunger here in the United States. I have an exceptional bunch of queens! Local, state and national! Just another reason why I feel United States reigns supreme! DURING ONE OF OUR FACEBOOK CHATS, YOU HAD MENTIONED THAT YOU HAVE A STRONG CONNECTION WITH FILIPINOS. TELL US A LITTLE ABOUT IT. I do for sure. My grandfather, Guy Clayton Cumbo, who was a U.S. Army Sergeant of the 160 Infantry, 40th Division and was also known as the Liberator of Bamban, Tarlac during World War II. In 1945 he fought the Japanese for the freedom of the Filipinos in the Battle of Bamban Hills. 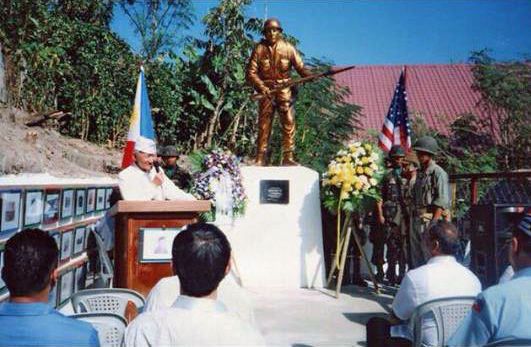 In 2005 a life-sized statue of him was erected at the base of Bantiti Hill, Lourdes, Bamban, by the Bamban Historical Society and WWII Museum at the site of the Memorial. My family has a friend there now in the Chairman, Rhonie Dela Cruz who always called my grandfather "Poppa Guy." He says it is so nice to know that Bamban had a friend in their veteran. Sadly, my grandfather passed away in 2013 but he talked often about the Philippines and although he had traveled the world while in service of our country, he always told me that he thought the Philippines was the most beautiful place of all. He would have loved to have traveled back but his health wouldn’t allow it. He was the light of my mom’s life and she was his. I do plan to take her there to see this statue in person one day and to meet our Filipino family. Although, they are no blood relation, to see how much they appreciate my grandfather makes them family to us for life and we love, respect and appreciate them greatly. IS THERE A QUESTION THAT YOU HAVEN'T BEEN ASKED THAT YOU WANT PEOPLE TO ASK YOU, AND WHAT WOULD YOUR ANSWER BE? There are honestly too many to list! I love for people to ask me questions. I love answering questions. I think especially with a newly re-branded system it is so important that we remain accessible and open for questions at all times. We are growing at an alarming rate, which is amazing. From March 2016 to August 2016 we had over 2 million hits on our website www.unitedstatesnationalpageants.com and I expect many questions in 2017 as we have implemented even more changes with an open format for our Jr. Teen, Ms. And Ms. Woman divisions that allow regional title holders to compete at the national pageant. We want to expand those divisions to make them more popular nationally and the best way to do that is to open them up to a wider demographic. Our Miss and Teen division will still remain the most competitive on the national market with other national brands so they will stay unchanged with the exception of the teen joining all of our other divisions in not having a contracting clause in 2017. So there will be no reason for everyone not to give United States a shot. You will have nothing to lose!